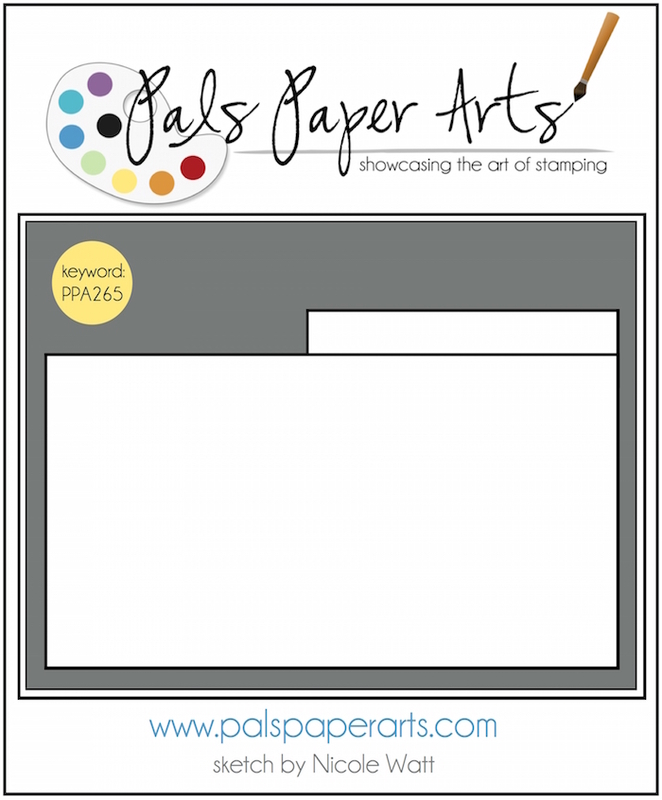 It's Thursday, so time to play along with the Pals at Pals Paper Arts! 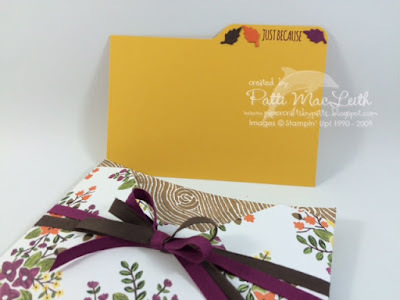 This week's sketch reminded me of a mini file folder, so I created the shape using Crushed Curry card stock with the Envelope Punch Board and the Tin of Cards Photopolymer stamp set. The Tin of Cards Stamp set is so versatile! I am using it a lot since I completed the cards that came in the set. The Designer Paper is from the Into the Woods Designer Series paper pack. (Available September 1st). I used the Envelope Punch Board to make my envelope the A2 size, but then I cut off the flap and a bit below the flap so my "index card" would sort of stick out. 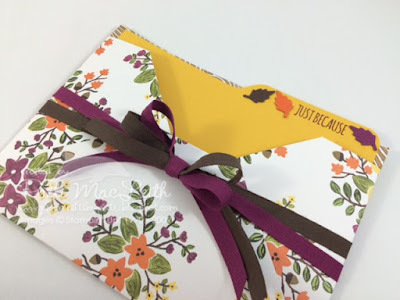 I decorated the tab portion of the card using the stamped sentiment and the leaves from the Square Pillow Box Thinlits, which also debut on September 1st. I tied a bow using Early Espresso and Rich Razzleberry Cotton Ribbon around the envelope shape. I hope you enjoyed looking today! 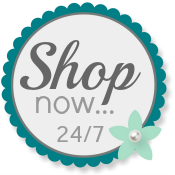 Please let me know if you have any questions or comments. You can leave them below! 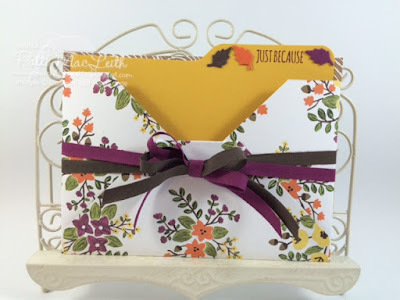 Patti - a file tab card is perfect for this challenge. I love these colors and how you used the DSP. Thanks for playing along with this week's Pals Paper Arts sketch challenge. WOW! Absolutely perfect in every way, Patti! The ribbons are the perfect color choices, while the small leaves are the perfect accents. What a wonderful way to show off this gorgeous paper! You hit it out of the park! Thanks for playing with Team Two this week!